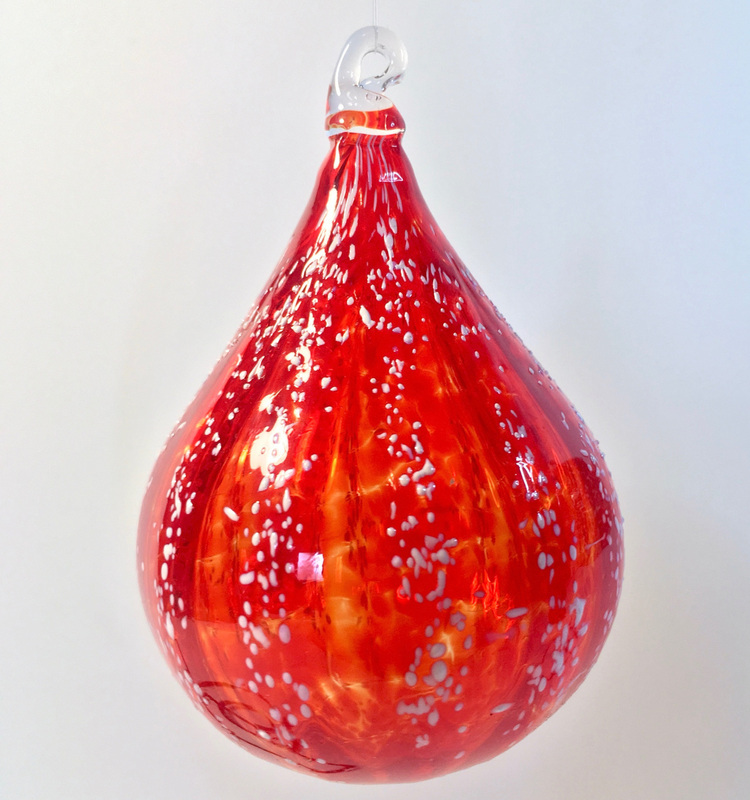 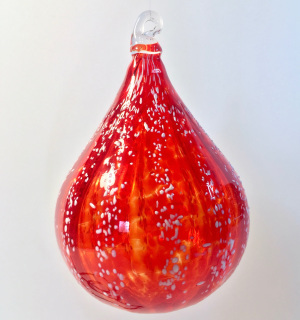 3 1/2" tall teardrop ornament decorated with cherry red overall and specks of white on each ridge. 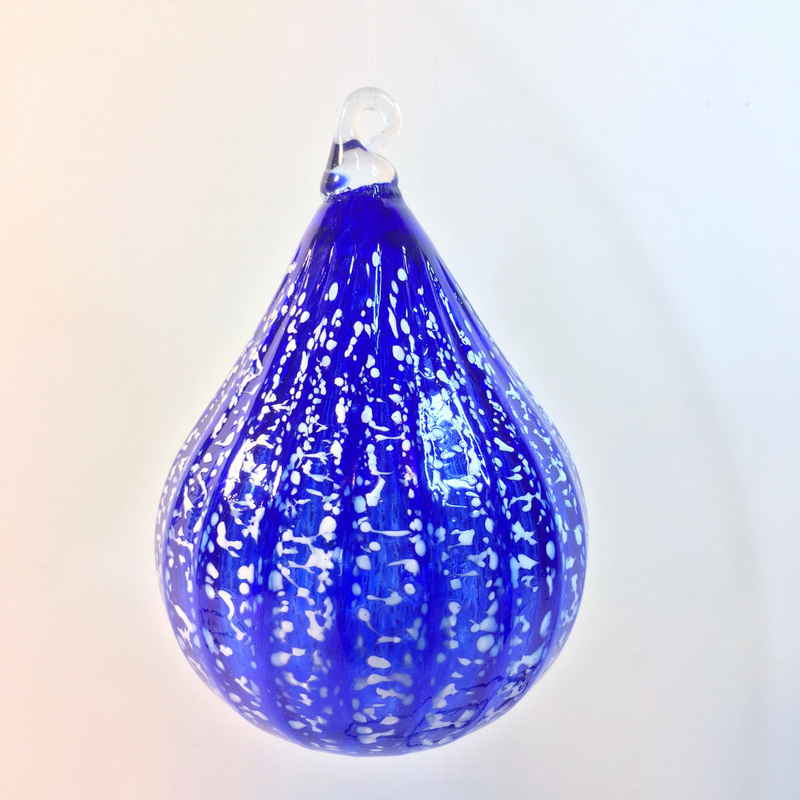 3 1/2" tall teardrop ornament decorated with cobalt blue overall and specks of white on each ridge. 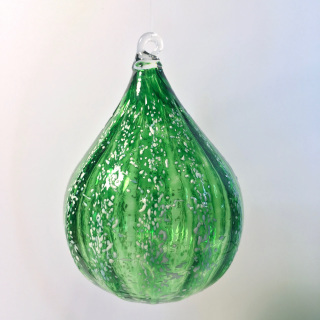 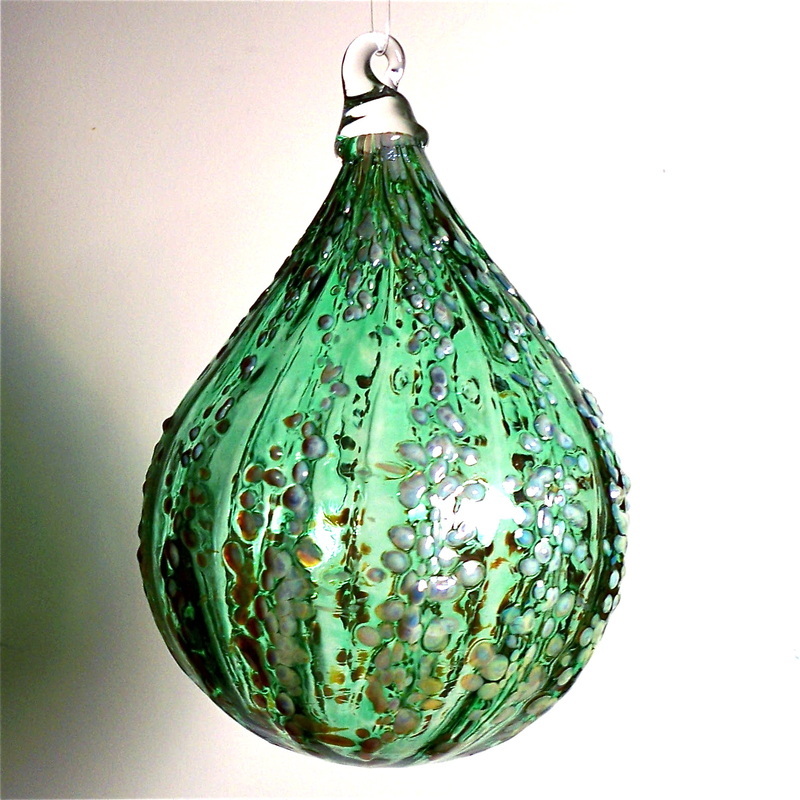 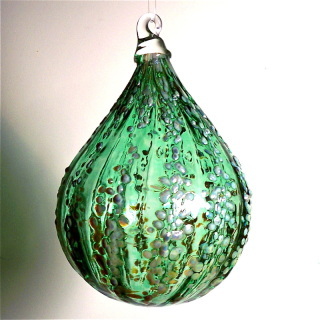 3 1/2" tall teardrop ornament decorated in emerald green overall with specks of white on each ridge. 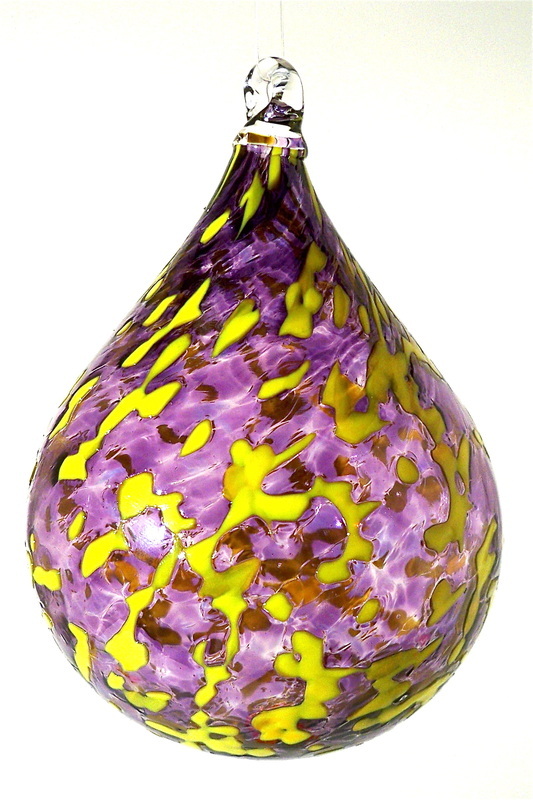 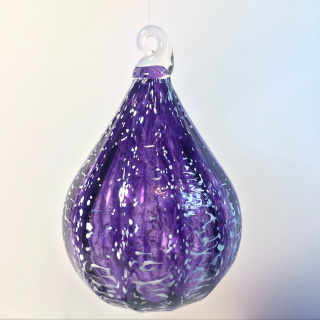 3 1/2" tall teardrop ornament decorated with amethyst overall and specks of white on each ridge. 3 1/2" tall teardrop ornament decorated with gold overall and specks of white on each ridge. 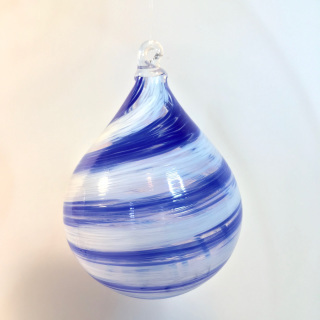 3 1/2" tall teardrop ornament decorated with a bright lapis blue and white spiral. 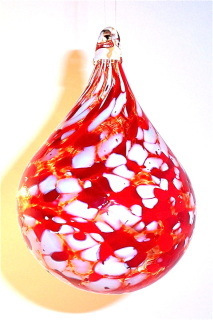 Finished off with a clear hook. 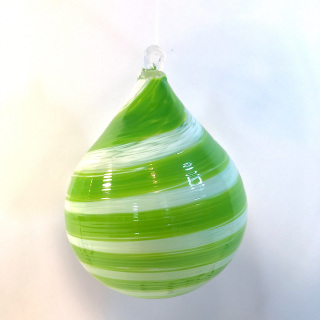 3 1/2" tall teardrop ornament decorated with a lime green and white spiral. 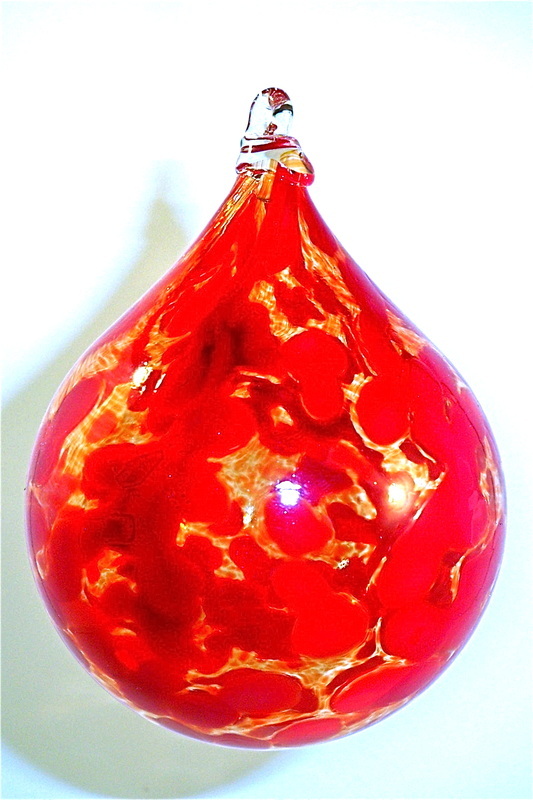 Finished with a clear hook. 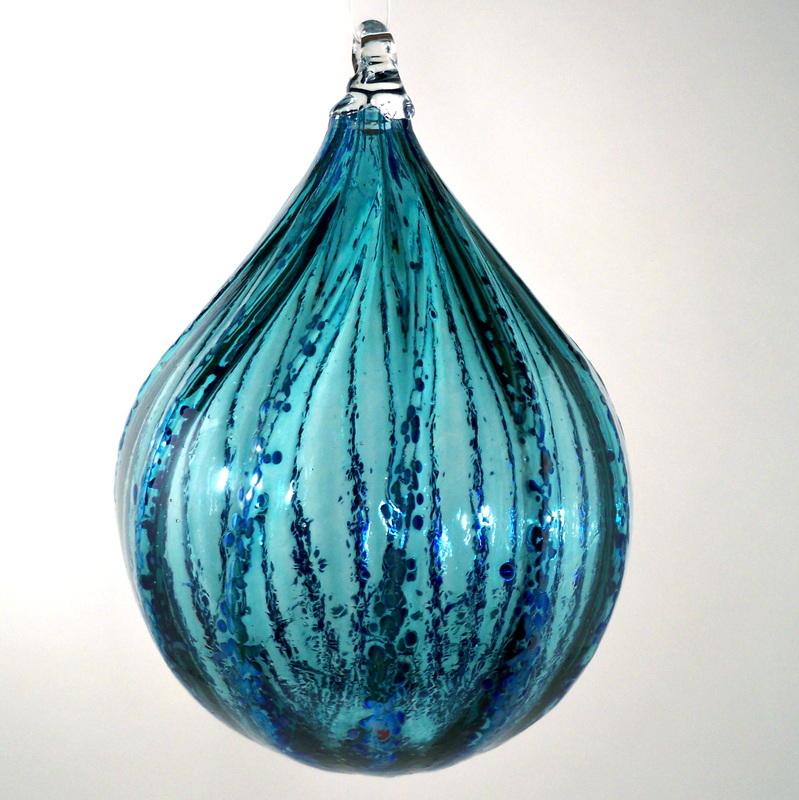 3 1/2" tall teardrop ornament. Decorated with an amethyst and white spiral. Finished off with a clear hook. 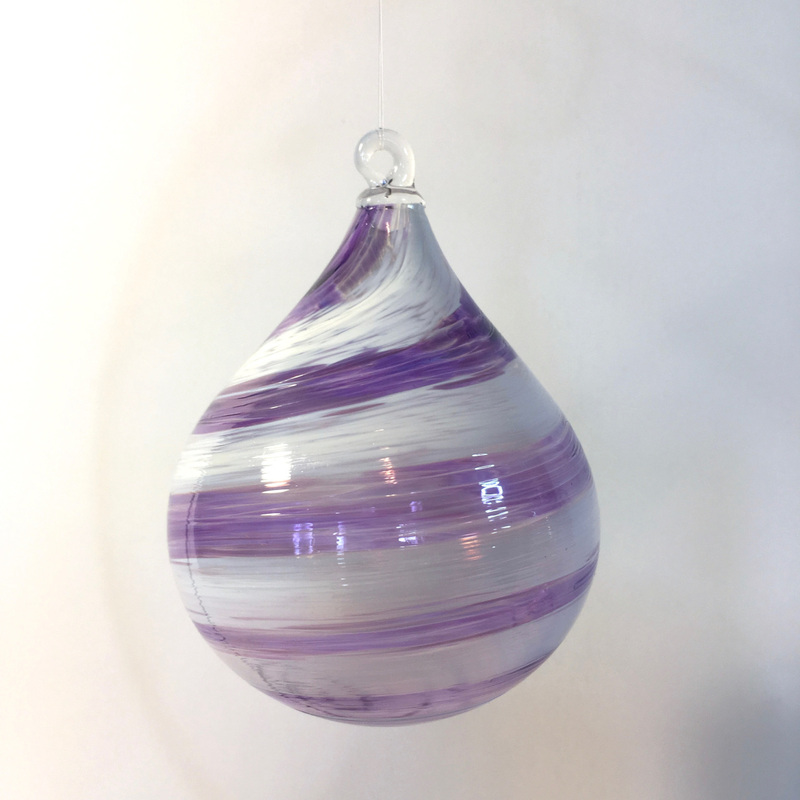 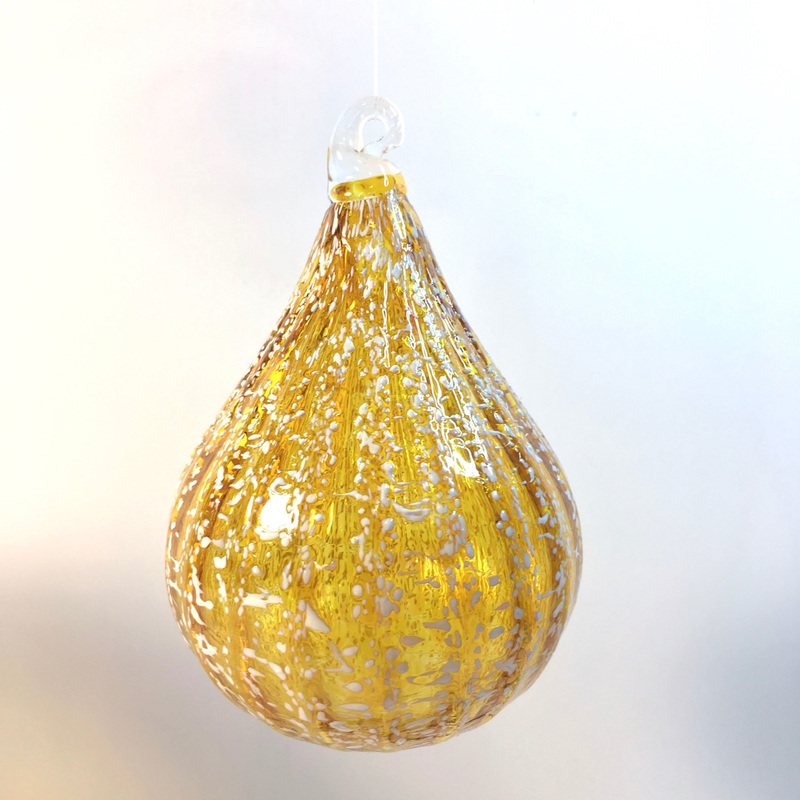 Decorate your window or tree with a little liquid drop of Hand Blown Glass...These teardrops give the impression of gravity and motion. 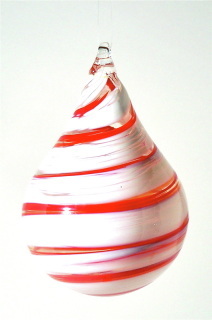 This design is a Red with White Spiral! 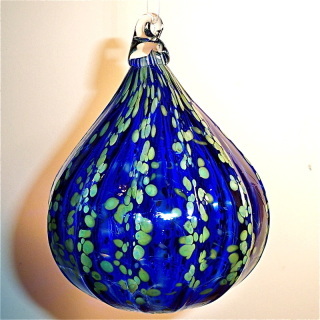 Measures approximately 4" from top to bottom. A classic amber color accented with bright red frit. Cobalt blue accented with a silver blue ribbing. 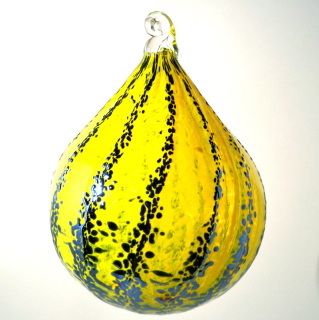 with a background of bright yellow sunflower accented with ribbing and silver luster.